“Simple, but good” might be how I describe our approach to recipes here at Tinicum CSA. 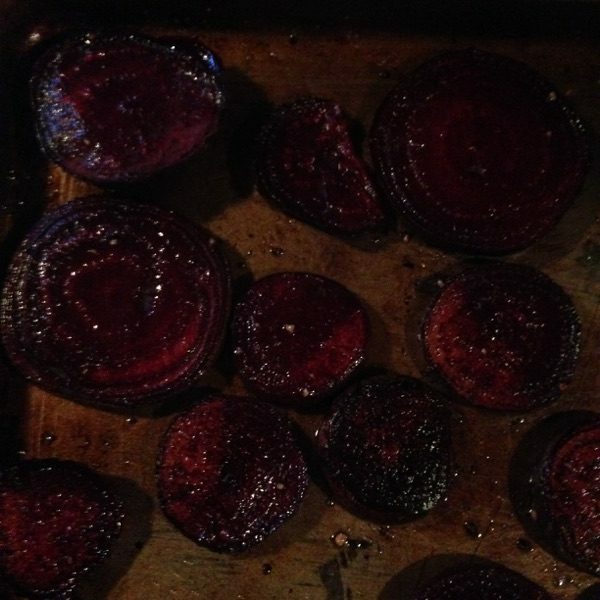 After all, it’s pretty great to take a basic, delicious vegetable and turn it into a versatile side dish. 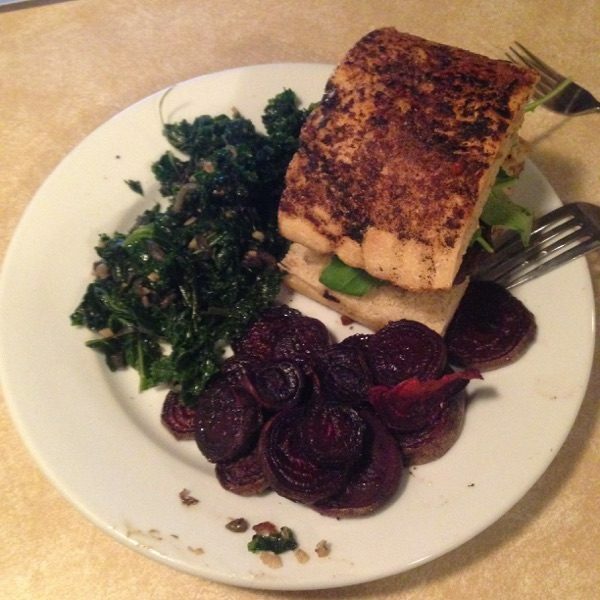 If you’re wondering what to do with beets, this may be a gateway to enjoying them. 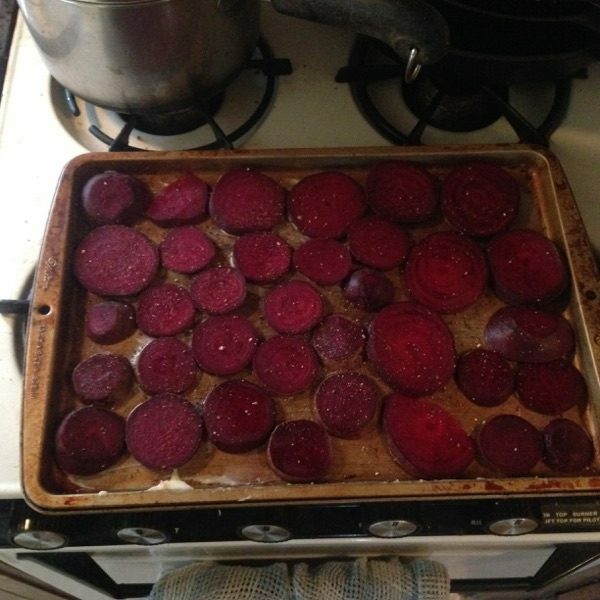 This recipe is very similar to one of our sweet potato recipes. 1. 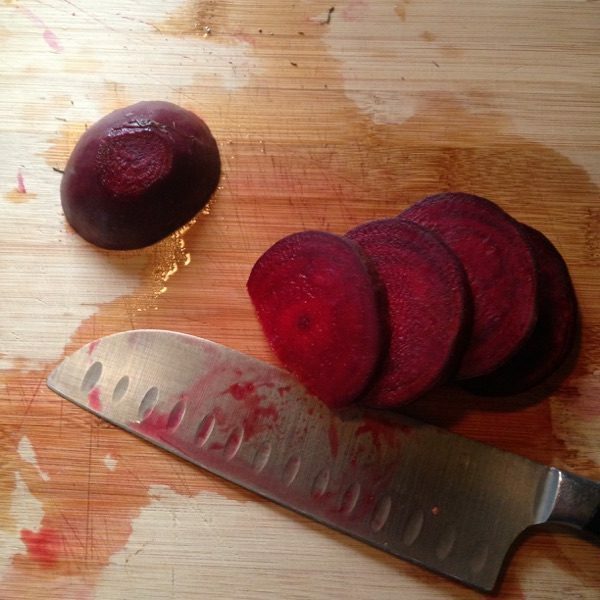 Cut off the tops and bottoms of the beets, and scrub them. You can peel them, but I don’t bother. 2. Grease your cookie sheet with your preferred oil or ghee. 3. 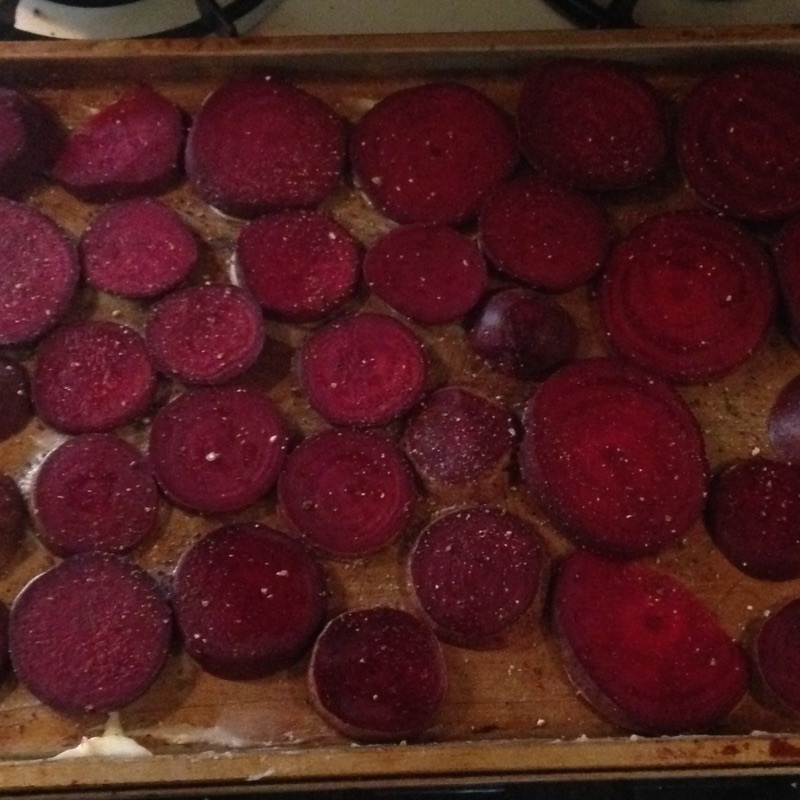 Lay out the beet slices on the cookie sheet and sprinkle with salt & pepper. 4. Bake at 375 degrees for 40 minutes or until soft. At the half way point, flip them using a spatula and a fork. 5. Enjoy as a side dish. Here, they are featured with sautéed kale and a hamburger topped with cheddar & fresh arugula.